In 1941, Pep Comics #22 published a seven page comic strip featuring a redheaded (ginger) teen boy who was trying to show off to a cute blond who had just moved to Riverdale. Of course things didn’t go well for the high-schooler and a ruined picture became the least of his worries. From this short strip a comic legend was born, one that has been published ever since. The ginger teen was Archie and the blond was Betty. And this one strip, though seemingly insignificant at the time, helped change the publisher from MLJ Magazine to Archie Comic Publications. While reading through this collection, it soon became apparent that it was a lot different than I thought it would be. The characters aren’t the goofy looking teens everyone is used to seeing today where magazines are sold in digest size comics. Our gang was drawn in a more realistic style, well compared to the classic version everyone knows of now at least. 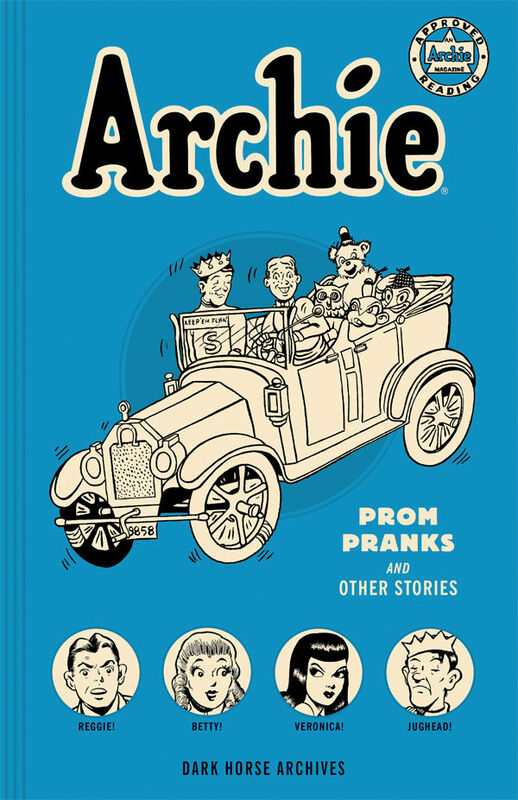 But Archie seemed to always be drawn like a cartoon character while Betty and Veronica were drawn in the cheesecake style of the era that the series was originally set in. Though, as the collection goes on, the classic look, and the way that we’re used to seeing the characters becomes more and more prominent.